I have been working like a crazy person to finally get these new dresses out to you... here is a little sneak peek! They're coming! SO EXCITED!!!! Yay for awesome people working together! Ooo...that blue one is gorgeous! The collar/bow around the neck has a splendid shape. Gah! 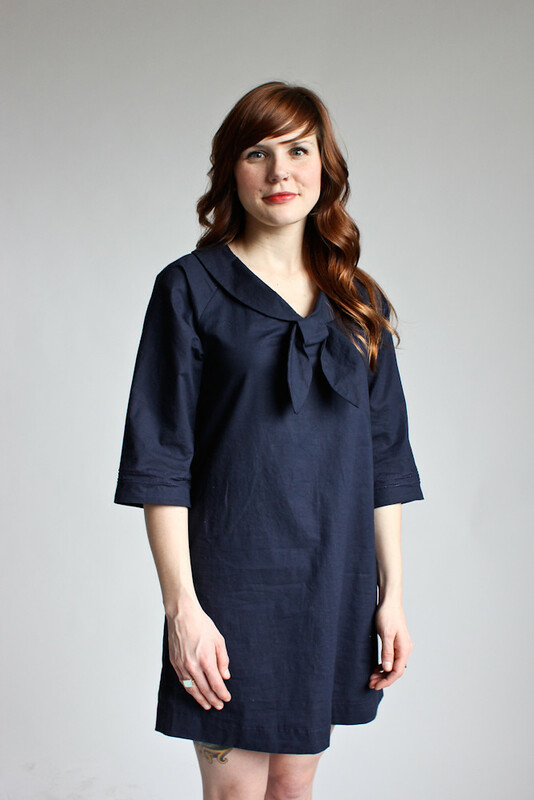 That navy blue number is to die for! Wow. That first dress is a cream-colored dream. Very excited! Your clothing creations are beautiful. I want to wear them all! I really adore the first one. It's so cute! Where did you get those shoes in the first one? I've been looking all over for a pair of shoes like that.